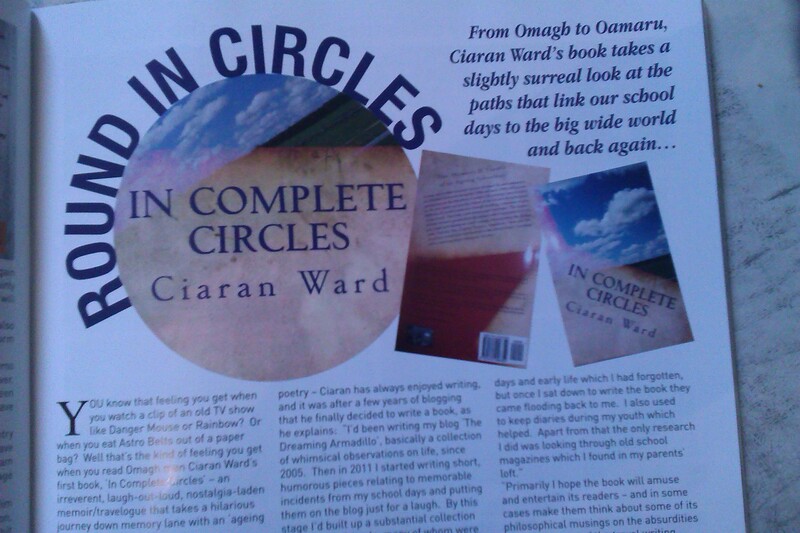 An article on my book “In Complete Circles” has appeared in the local magazine Omagh Today. 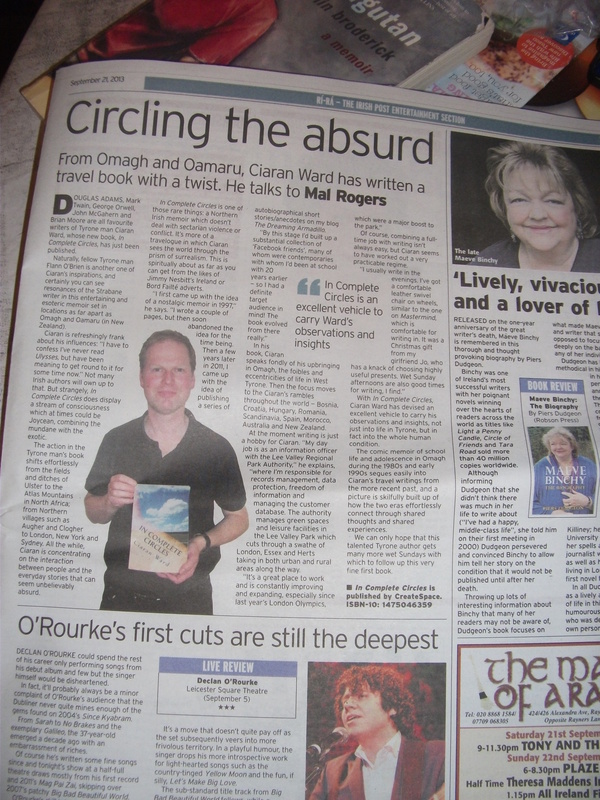 Thanks to Claire Martin for the publicity. Please note: This is a quote from the article and not my own words! 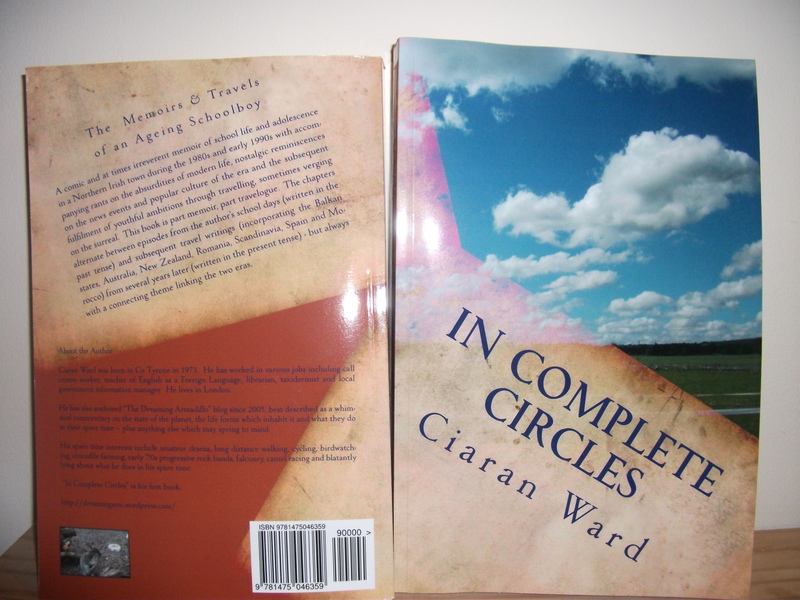 In Complete Circles is available from Amazon at a very reasonable price. And gets eaten by a passing heron. Thanks to Mal Rogers for the kind words. 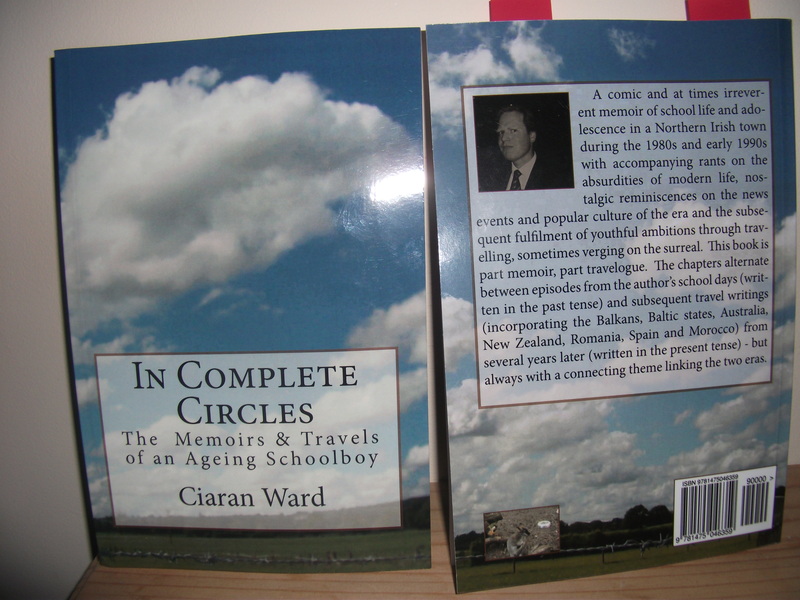 In Complete Circles is available from Amazon at the very reasonable price of £5.47 (paperback) of £4.62 (Kindle). I’m relieved to finally announce at long last that my book In Complete Circles: The Memoirs & Travels of an Ageing Schoolboy has finally been published after almost two years of graft. 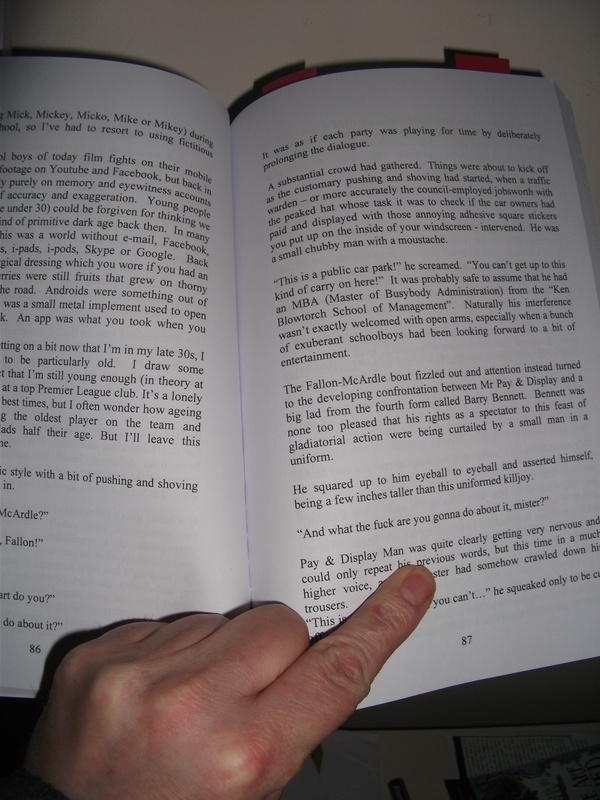 Copies can be ordered from Amazon – which also lets you have a look inside. 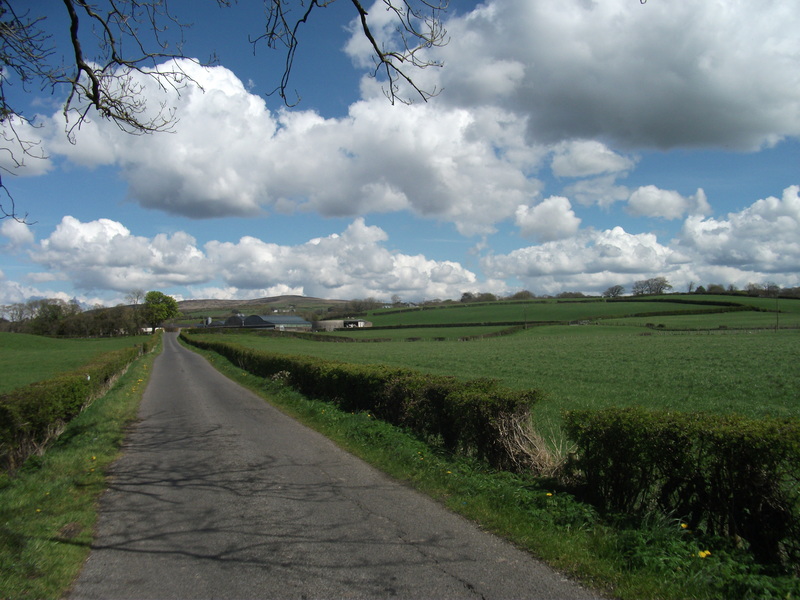 More extracts can be found on this blog. 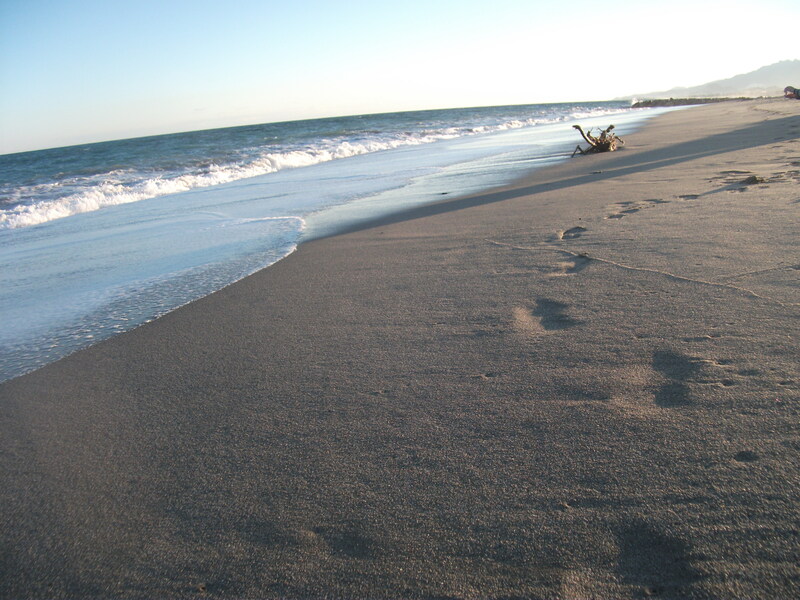 Thanks to all who provided me with the valuable support and encouragement during the writing of the book!